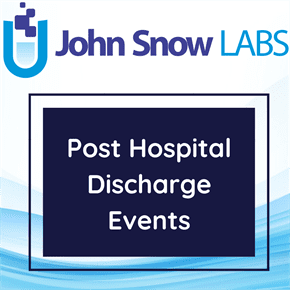 This dataset contains information on Congestive Heart Failure Hospital Discharge by Hospital which looks at 2014 post discharge re-admission and care after patients leave the hospital for an acute or chronic illness. This is the first national report to look at how effectively communities and hospitals coordinate care for some of their sickest patients—those leaving the hospital after a stay to treat an acute or chronic illness. The dataset covers percent readmitted within 30 days of discharge, percent seeing a primary care clinician within 14 days of discharge to home, percent having an ambulatory visit within 14 days of discharge from hospital and percent having an emergency room visit within 30 days of discharge. This Dartmouth Atlas report reveals striking variation in 30-day readmission rates across hospital referral regions and academic medical centers. Little progress was seen in reducing readmission rates over the five-year period 2004 to 2009. In fact, for some conditions, readmission rates have increased for the nation and for many regions and hospitals. This particular dataset is on CHF cohort at the hospital level. Percent numbers are in % unit.